New web site and logo for Nº5 Cavendish Sq. 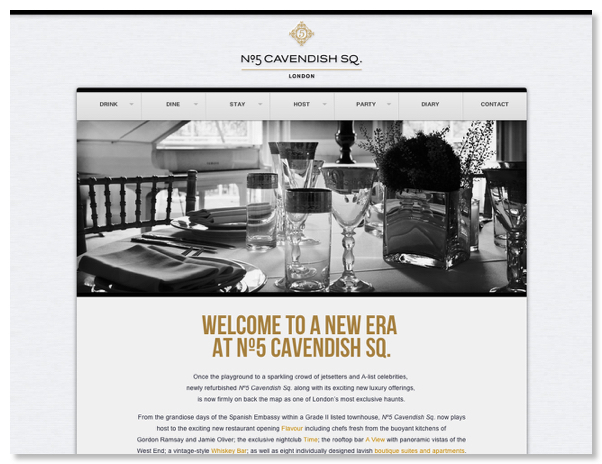 We’ve just completed designing a new web site for Nº5 Cavendish Sq. We’ve also updated their logo and stationery to create a more minimal, luxurious look. The site is monochromatic with highlights of gold and includes online booking for the restaurant and hotel.